Berger, Alan. Drosscape: Wasting Land in Urban America. New York: Princeton Architectural Press, 2007. Bhatia, Neeraj, et al., Pamphlet Architecture 30: Coupling. New York, Princeton Architectural Press, 2011. Branzi, Andrea. No-Stop City: Archizoom Associati. Orléans: HYX, 2006. California Legislative Analyst’s Office, ‘Six Californias Plan: Report’, 31 January 2014. http://www.lao.ca.gov/ballot/2013/130771.aspx. Krauss, Rosalind. ‘Sculpture in the Expanded Field.’ October 8 (Spring 1979): 30–44. Marx, Karl. Capital: A Critique of Political Economy, Volume III. trans. Samuel Moore and Edward Aveling. New York: International Publishers New World Paperback, 1967 . Moore, Jason W. Ecology and the Accumulation of Capital. New York: Verso, 2014. ---. ‘The End of Cheap Nature, or: How I learned to Stop Worrying about “the” Environment and Love the Crisis of Capitalism.’ in Structures of the World Political Economy and the Future of Global Conflict and Cooperation, ed. C. Suter and C. Chase-Dunn (Berlin: LIT, 2014), 285- 314. Tejon Ranch Commerce Center, 2018, http://www.tejoncommerce.com/index.php/#about. Wall, Alex. ‘Programming the Urban Surface’, in Recovering Landscape: Essays in Contemporary Landscape Architecture, ed. James Corner, 233–249. New York: Princeton Architectural Press, 1999. Jones, Christopher F. Routes of Power. Cambridge: Harvard University Press, 2014. Neeraj Bhatia is a licensed architect and urban designer from Toronto, Canada. His work resides at the intersection of politics, infrastructure, and urbanism. He is an Associate Professor at the California College of the Arts where he also directs the urbanism research lab,The Urban Works Agency. Bhatia has previously held teaching positions at Cornell University, Rice University, the University of Toronto, and is the 2018 Esherick Professor at UC Berkeley. Neeraj is also founder of The Open Workshop, a transcalar design-research office examining the negotiation between architecture and its territorial environment. He is co-editor of the books Bracket [Takes Action], The Petropolis of Tomorrow, Bracket [Goes Soft], Arium: Weather + Architecture, and co-author of Pamphlet Architecture 30: Coupling– Strategies for Infrastructural Opportunism. BHATIA, Neeraj. The Other California. FOOTPRINT, [S.l. ], p. 115-124, nov. 2018. ISSN 1875-1490. Available at: <https://journals.open.tudelft.nl/index.php/footprint/article/view/2218>. Date accessed: 21 apr. 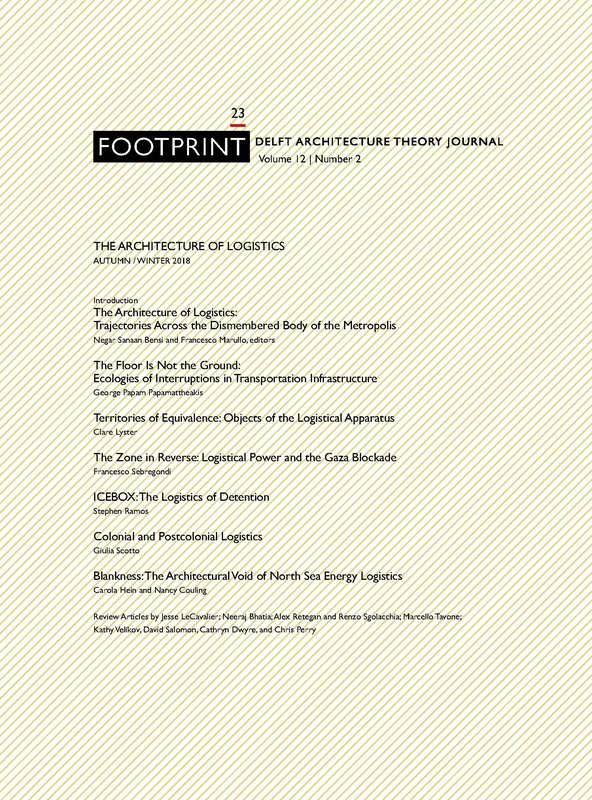 2019. doi: https://doi.org/10.7480/footprint.12.2.2218.